Happy Monday Sweaties!!! I started my week off bright and earlier this morning. The Mr and I woke up around 5:30 and headed directly to the gym. MAN, it has been a while since I’ve been there. I told myself just to have some fun and get moving……..and that was exactly what I did! Thank goodness for my friends over at Fit Approach, without them I probably would have slept in again today but I was up and at em to start this challenge! I predict that we’ll crush the goal of #1MillionMinutes – I think we’ll actually hit 2 million minutes this summer! I predict that running (because it’s my first love) will be the top-logged movement. I’ll get my extra minutes in by spinning to the sound of music before sun rise! My favorite way to get extra minutes in is by swimming at the gym with the Mr. The Mr is my BEST activity partner because he has become so motivated and MUSCLY. Our favorite way to relax post-workout is to grab a healthy breakfast and lay in bed to eat it before jumping in the shower and starting our day. 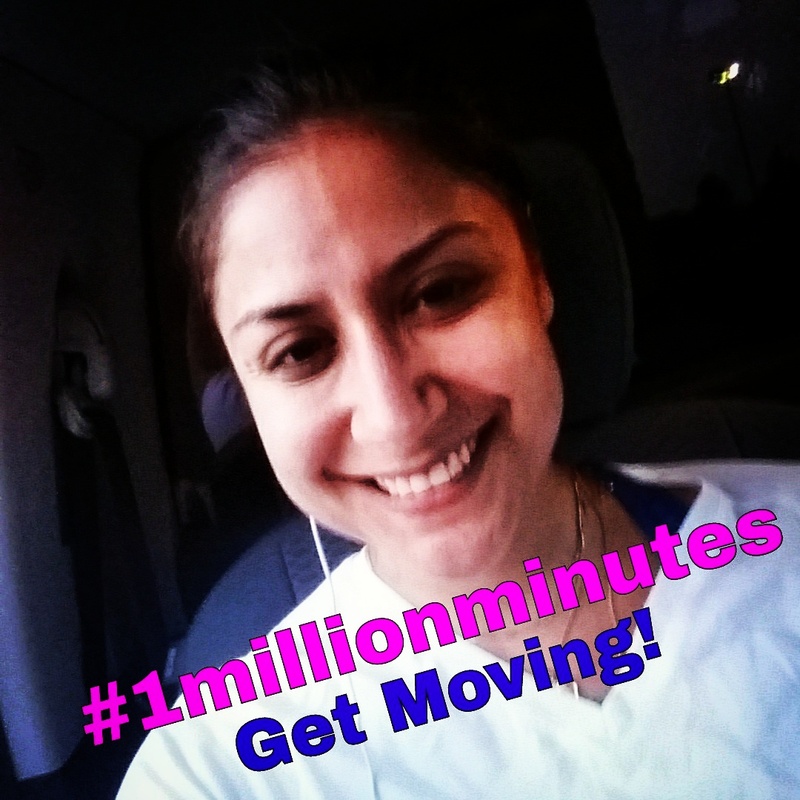 I tag Krystal @ MovingwrightAlong, Melissa @ melrunner83, and Ivanna @ petiteheartbeat to help us reach #1MillionMInutes… or more! Hope you guys have a spectacular week! Happy Running!